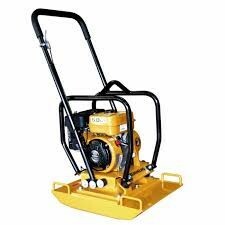 6.0hp CC70R Crommelins Plate Compactors is a popular choice for landscape contractors and builders, as it is designed for compaction jobs in residential, commercial and light industrial applications. This fast and powerful compactor will handle heavy-duty jobs. The reversible handle makes it easy to manoeuvre and the soft grip handles reduces vibration to the operator.